Last week, I posted the notice for Fourth of July fireworks. Fireworks are a huge part of the holiday, but family gatherings are what make this time of the year so special. We have our family with us at the lake this week and my grandson, Evan, is training for the diving competition in the 2016 Olympics. 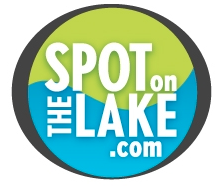 Check out this video and give us a call to schedule at time to find your spot on the lake.